The first land acquisition for Cambrian Wildwood is on the horizon. All depends on raising £150,000 by end of May. Wales Wild Land Foundation is forming a partnership with Woodland Trust for the purchase of Cefn Coch. 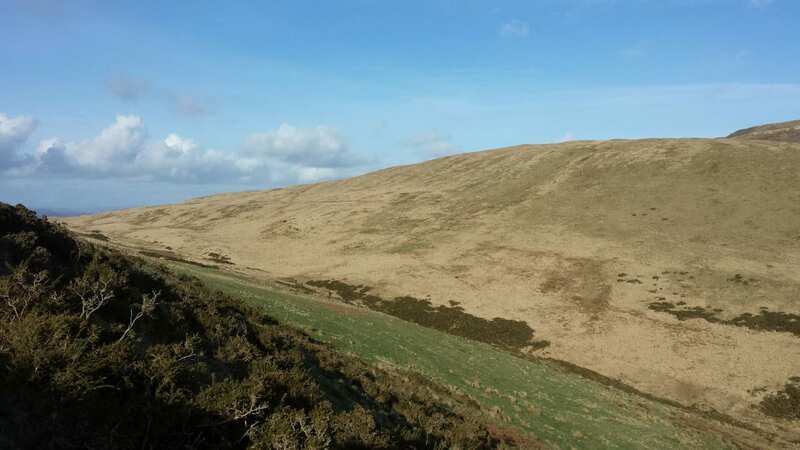 Cefn Coch is an upland area of 350 acres, mainly moorland which is largely dominated by purple moor grass. Sheep grazing was reduced about 10 years ago, and over the last 4 years it has been ungrazed. 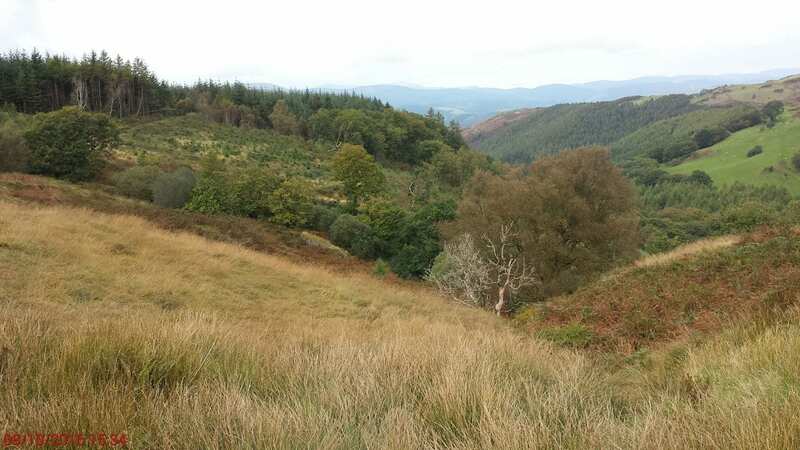 At the lower parts, down to about 100m above sea level, there are some mature native trees amongst bracken, and young trees starting to colonise. The land rises to 388m where the top of the hill at Bwlch Corog is marked with a cairn. Young native trees have started to colonise onto the edge of the moorland along the boundary with a forestry plantation. This unproductive piece of land was identified many years ago by the Cambrian Wildwood team as a suitable core area for the project. It has no nature designations and little current interest, making it highly suited to the restoration of wildlife that we are seeking to achieve. It is also strategically located between two ‘Site of Special Scientific Interest’ heather moorlands and two very picturesque wooded valleys, also designated as ‘Site of Special Scientific Interest’ and ‘Special Area of Conservation’. 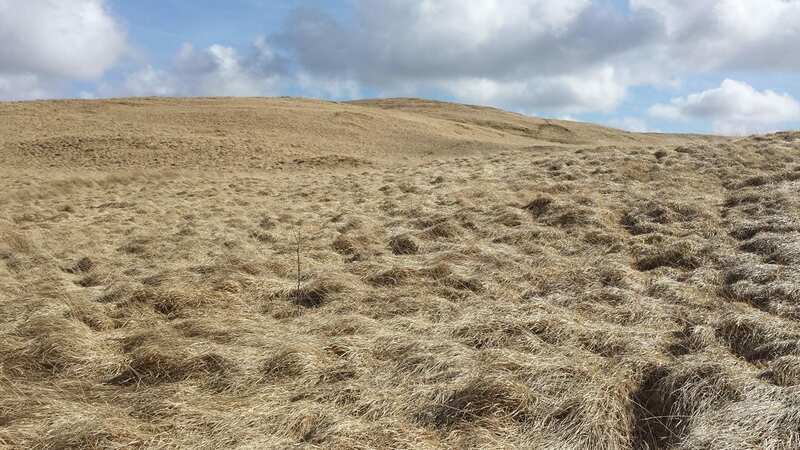 Restoring Cefn Coch to a natural landscape of native woodland and sparsely wooded heather moorland with some open ground will achieve a big part of connecting these areas to create a large area for wildlife. The property also neighbours government land, providing good potential for restoring nature over a much bigger area if we can influence management here. If the purchase price can be raised now, it will save the site from going under conifers and enable us to restore the area for wildlife, and create trails and camping pitches for people to enjoy this wild and remote place. A sum of £200,000 has been pledged for the purchase of Cefn Coch, on condition that Wales Wild Land Foundation works in partnership with a bigger, more established charity. We are fortunate to find a very enthusiastic and experienced partner in the Woodland Trust. The establishment of a large area of native woodland in the uplands is in line with their priorities. They are also interested in our experimental approach to establishing new areas of woodland using natural colonisation, boosted by small amounts of planting where there is limited existing tree cover. The donations and pledges we have received from Wildwood Founders and other supporters, totalling around £36,000 to date, are a crucial factor in enabling the current arrangement to go ahead. They provide material confirmation of the level of support for Cambrian Wildwood, and indicate the commitment of the team. We are hoping that these funds will not be required by the current appeal so that they can go towards further land purchase and there may be other options. Donors will be contacted before making any decisions on this. Woodland Trust are running the appeal to raise the other £150,000 required for the purchase, with a deadline of end of May agreed with the vendor. If all goes to plan, Woodland Trust will become the freeholder and pass the property on to Wales Wild Land Foundation under a 125 year lease. We will then manage the project on the land and thereby establish a large area of wildwood. Until the end of May (2017), we are encouraging anyone who wants to support Cambrian Wildwood to donate to this Woodland Trust appeal.